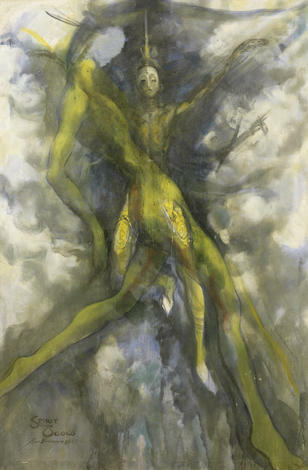 The Late Ben Enwonwu’s ‘Spirit of Ogolo’ painting sold for £218,500 at the Bonham’s Africa auction on 26 May 2016. This is very high in terms of the sale of African art but this is not his highest selling work. 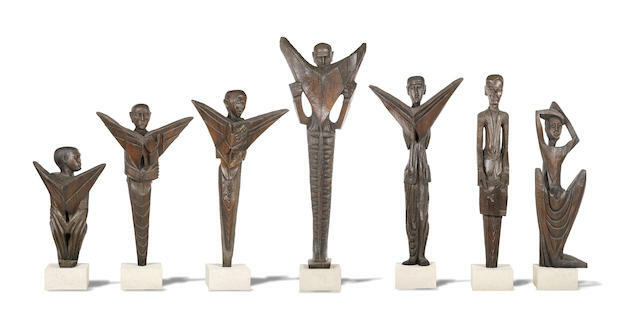 In 2013, a set of sculptures were sold for £361,250, which is the highest selling artwork from an African artist. Commissioned by the Daily Mirror in 1961, the pieces depict a collection of seven wooden sculptural figures holding newspapers. The sculptures had been estimated to sell for £80,000 to £120,000 but tripled the high estimate to make £361,250. Bonhams founded in 1793, is one of the world’s largest auctioneers of fine art and antiques. Bonhams is the only auction house offering a stand-alone sale of Contemporary African Art.